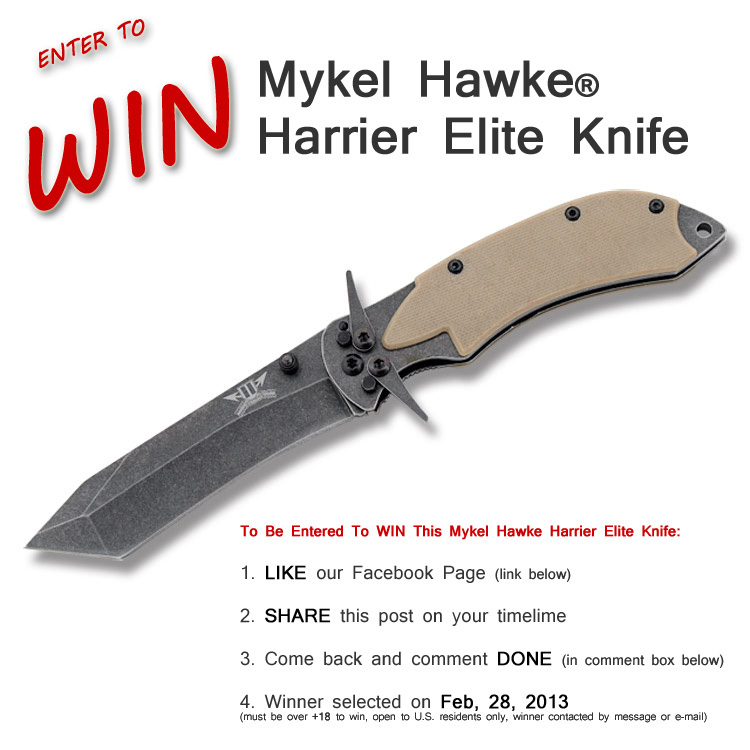 CONGRATS To Anthony D. of Hollis, N.H.
our Winner of A Mykel Hawke Harrier Elite Survival Knife! Thanks to all that entered, stay tuned for future offers and giveaways. Must be over +18 to win, open to U.S. residents only. Winner will be contacted by facebook message or e-mail. This entry was posted in Year Zero Survival Blog and tagged Contest, doomsday preppers, Giveaway, knife, knives, Mykel Hawke, Prize, survival knife, Sweepstakes, Win by staff-writer. Bookmark the permalink. Done, liked and shared, awesome knife! Done! Thanks for the opportunity.